At Comline, we’re fairly certain that brake noise will be an issue that garages and mechanics deal with on a weekly, if not daily, basis. Brakes, whether it’s a problem with the discs or the pads, are just one of the regular happenings within any garage; much like a cold at the doctor’s. Brake noise has been a common problem for drivers since motorized vehicles started to replace the horse and cart all those years ago. They’re the most important safety feature and the automotive industry as a whole invests millions of pounds each year to maintain standards. If you’re lucky, the brake noise you’re hearing will be caused by surface rust being scraped off whilst in use, or by moisture and dirt build up. If they’re not the cause, though, it’s going to be a bigger job. 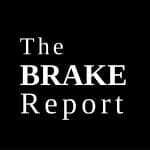 So, if a customer comes to you with a brake noise problem, how do you detect the cause? First thing’s first, try to get as much detail as possible from the vehicle owner; what sort of noises can be heard? What side of the car is it heard on? Can you pinpoint it to a particular wheel? Have you had any recent works done to your wheels or brakes? Alternatively, conduct an initial test-drive to help establish a prognosis. Technical Service Bulletins can also advise if the noise has a known source and are a handy point of reference. 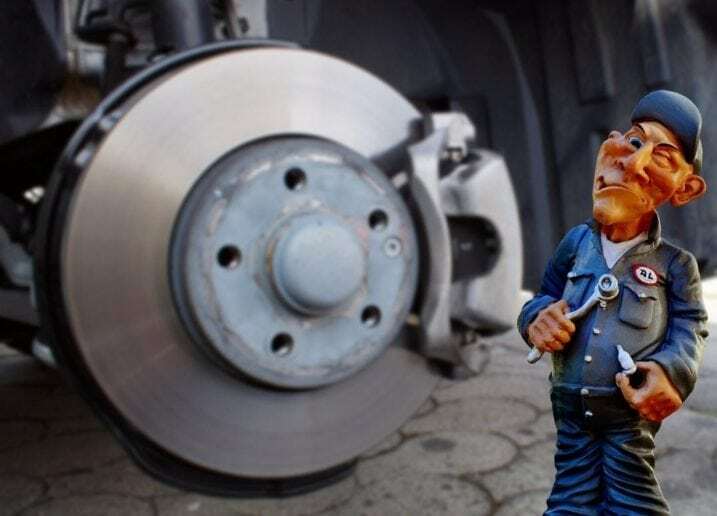 One of the most common forms of noise is brake squeal; squeal is caused by vibrations that result from the interaction between a brake disc, brake caliper, and brake pad. Squeal is directly influenced by various internal and external factors, including the temperature of the disc or pad, the speed that the vehicle is traveling and the pressure being exerted under braking. Brake pad shape can also influence brake noise, particularly under light braking pressures. The wrong shape can result in excessive noise which is why you will see such a variation in pad shape by make and model, along with the use of noise prevention technologies such as backing shims, slots, and chamfers. From a development perspective, any noise that exceeds 70db-80db is seen as problematic as it is distinguishable by the human ear from inside the vehicle. The most common cause of brake noise is down to worn or loose parts. 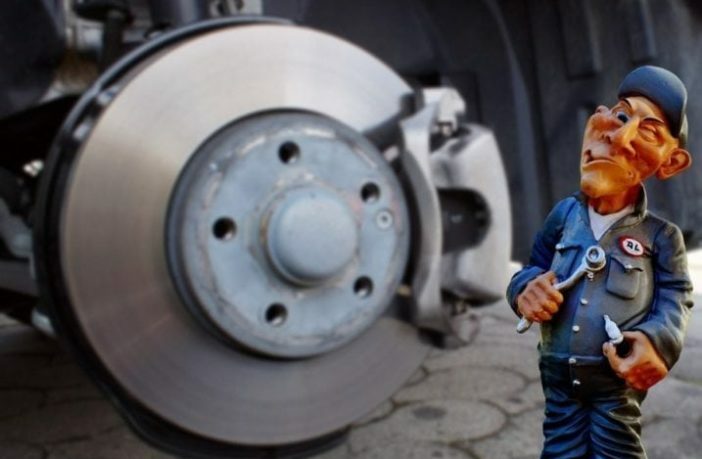 Take an unevenly-worn rotor, for example – also known as ‘warping’ – the uneven rotor will not allow brake pads to sit flat against it when you brake, which will, in turn, cause vibrating and/or the generation of noise. And it’s a similar story with uneven wear to brake pads. If wheel bearings are worn, these can also allow too much play while on the move, which can result in uneven pad wear causing brake noise. A worn bearing flange can also cause disc thickness variation which can contribute to excessive brake noise. If a continuous high-pitched squeal or grinding noise can be heard, then the cause will more-often-than-not be a signal to replace the pads. If it’s a continuous metal to metal noise, the rotors will also need replacing. Another well-known cause is incorrect or loosely-mounted brake pads – or corrosion to the shims that hold them in place. Fully inspect the brake system and associated components such as brake springs, anti-rattle chips and shims. We recommended replacing these accessory items when installing new pads. Worn or damaged mountings and bushings can cause caliper movement resulting in uneven pad application and wear, all of which can contribute to noise. Look out for corrosion and/or sticking pistons. After diagnosing the problem, if brake discs are worn or corroded, replace them or remove corrosion as required. Be sure to clean the inside and outside of the caliper using brake cleaner to remove any dirt and corrosion, too. Replace any damaged brake hardware, ensure brake pistons are fully retracted into the caliper and ensure the correct fitment of shims and accessories. Lubricate throughout using a specialized braking grease – take great care to avoid the face of the pad! Comline continues to dedicate time and resources to heavily test brake components using a highly-specialized noise test rig to ensure the quietest of operation. RMR backing shims in particular, along with slots and chamfers combine with our low-noise friction material to alleviate the possibility of excessive noise from a Comline pad. Established in 1991, Comline is a leading independent British supplier of aftermarket replacement parts for all popular European, Japanese and Korean vehicle applications with 95% availability on over 8,500 part numbers, which cover multiple product categories and are readily available. Our proven recipe for delivering a comprehensive product range consisting of consistent, reliable product quality with genuine value-for-money parts and customer service at the heart of the business has established us to become one of the fastest growing aftermarket brands in the European automotive. Comline’s continued growth has led us to rapidly expand to ensure we offer quick and efficient logistics from four key European hubs located in UK, Greece, Spain and Ireland.